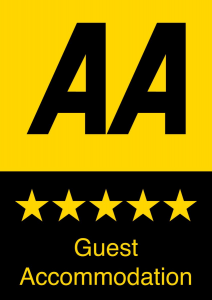 We are delighted to have been awarded the AA’s 5 star accommodation award, the highest award they bestow! A house-keeper/cleaner with experience in the hotel/BnB industry. Bar staff. Experience preferred, but not necessary. Most importantly you must be friendly and enthusiastic! This award is a gratefully received affirmation that our vision of uniqueness and eclectic style is appreciated and enjoyed. More importantly, it inspires us to continue driving to be the best, the most pleasurable and the funkiest B&B that we can possibly be. Each suite boasts its own singular personality. Whether you’re looking for classical romantic elegance or stylish contemporary themes, we can provide something you won’t find anywhere else. Complimentary full or half bottle of champagne when you phone or book direct with us! Our brand new lunch time offer – buy one lunch, get another free. 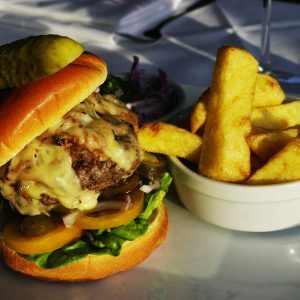 Menu price: £25 for three courses. hive of character, quirkiness and outrageous unconventionality. What is there to say about The Who’d a Thought It? 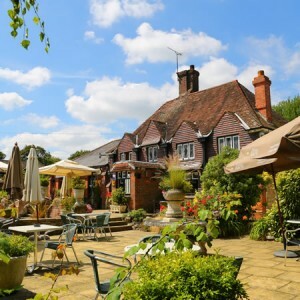 The building is a restored sixteenth century pub, no doubt the site of countless parties and celebrations over the centuries, and is now a luxurious Champagne bar, restaurant and hotel. At the Whody, you can expect to have a truly unique and memorable experience whether you join us for the night, a meal or just a drink. 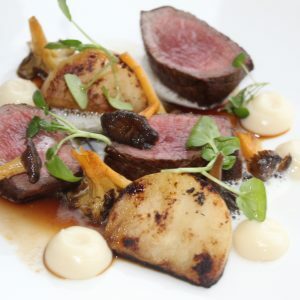 Our restaurant offers classical English dishes, carefully prepared with local ingredients, plenty of attention to detail and the characteristic Whody flair. As a hotel, we’re chock full of character and charm – each suite boasts its own singular personality. Whether you’re looking for classical romantic elegance or stylish contemporary themes, we can provide something you won’t find anywhere else. No matter your preference, your room will be fitted with flat screen TVs, hot drink-making facilities and en suite bathrooms. 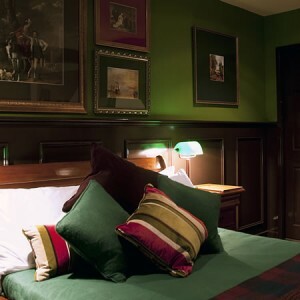 Select rooms also offer four-poster beds, jacuzzi baths, hot tubs and complementary champagne from our outstandingly well-stocked stores.